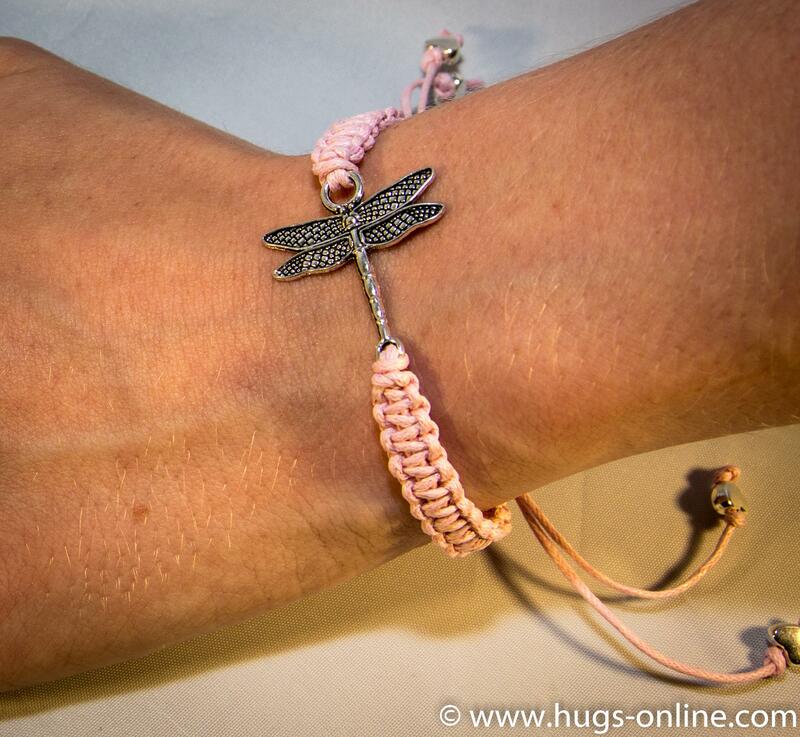 Beautiful handmade macramé bracelet in baby pink with an antique silver effect dragonfly. 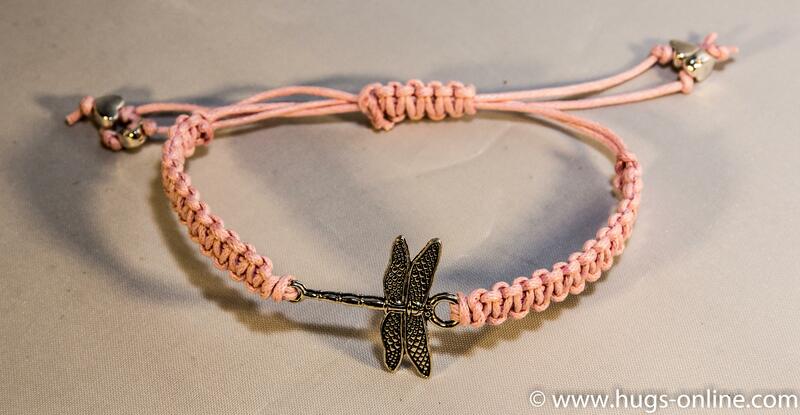 This bracelet is handcrafted with waxed cotton cord, antique silver effect dragonfly bead (lead safe, nickel safe and cadmium safe zinc alloy); and is finished with a sliding macramé knot with silver coloured beads. Please note cord end beads may vary to those shown, as may bracelet shade due to lighting and reproduction.